The metabolism of bees is severely impacted by human “interference” with land, according to a new study that adds to ongoing concerns for the health of the global bee population. Bees are a crucial part of the planet's ecosystem, pollinating an estimated one-third of food consumed by humans. The study published in the journal 'Proceedings of the Royal Society B' sought to find out how the metabolism of honey bees was affected by human meddling, such as clearing land for grazing animals, in their environment. The researchers measured the metabolic rate of bees, both in a human-affected and relatively untouched habitat. 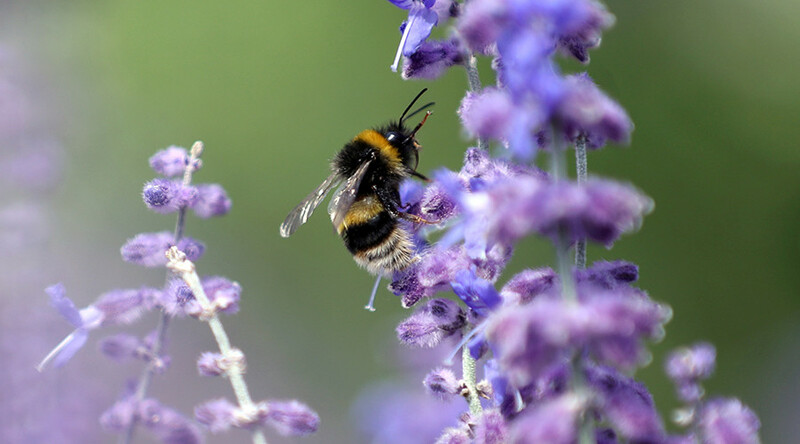 Comparing the two, they came to the conclusion that “the metabolic rate of bees in natural woodland was actually significantly higher than in a degraded environment,"said study author professor Don Bradshaw. Bees have been under growing threat over the last number of years, with a number of species close to extinction. Last month the rusty-patched bumblebee became the first in the continental United States to be listed under the Endangered Species Act. The decline of bees has been linked to climate change, the prevalence of pesticides and habitat destruction. Researchers from the US Department of Agriculture have been studying the link between a parasitic fungus and declining bee populations there, the Atlantic reports. They found that the fungus infects male bumblebees, swelling their abdomen making them fat, which leaves them too inflexible to mate with the queen. Queen bees can give birth to drones (males) by themselves but they need to mate with drones to create the “worker bee” females.